The upcoming Royal Enfield Interceptor 650 will be based on an all-new 648 cc, air-cooled, parallel-twin engine which makes maximum power of 47 bhp at 7,100 rpm and peak torque of 52 Nm at 4,000 rpm. 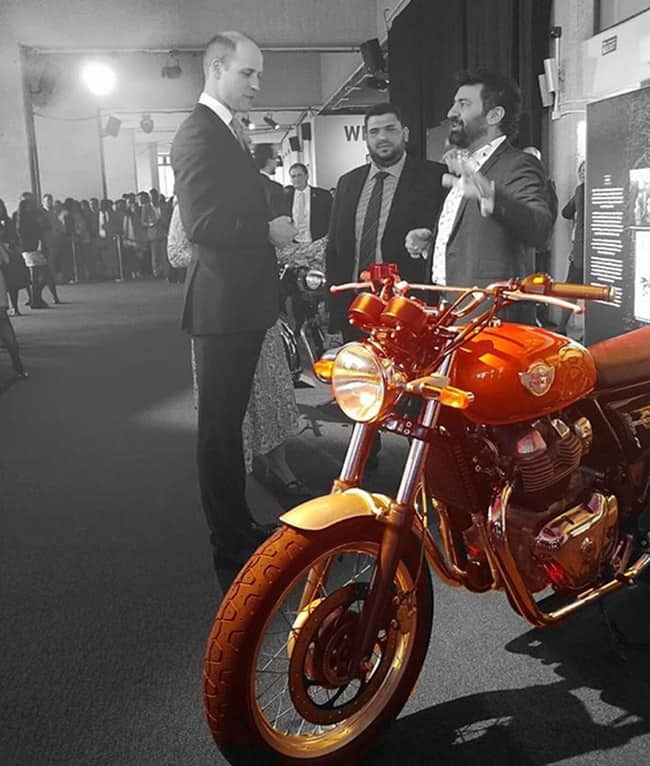 The new engine gets a 270-degree firing order, which is more in line with the classic 'thump' of the Royal Enfield single-cylinder engines we are familiar with. 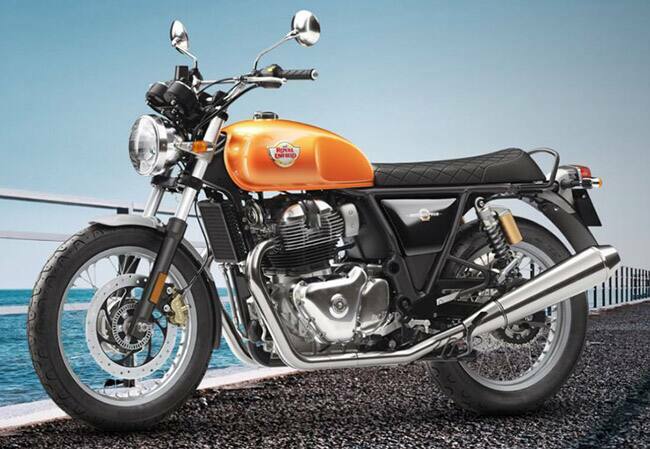 The expected of the new Royal Enfield are expected to be in the range of Rs. 3.5-3.75 lakh (ex-showroom) in India. It has a classic tear-drop shaped fuel-tank, quilted twin-seat and distinctive wide braced handlebars, the Interceptor INT 650 looks every bit the Roadster that it is. 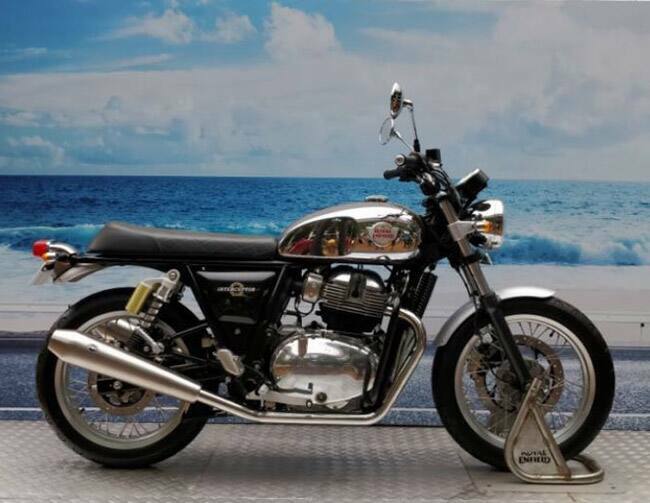 The motorcycle is equipped with classic 18” front and rear Pirelli tyres and twin shock absorbers, along with front and rear disc brakes with ABS. Also new to the Royal Enfield Interceptor 650, is the six-speed gearbox, especially developed for this motorcycle. The gearbox is augmented by its ‘slip/assist’ clutch that facilitates easy riding in traffic with a light feel and prevents wheel-hop when downshifting gears. 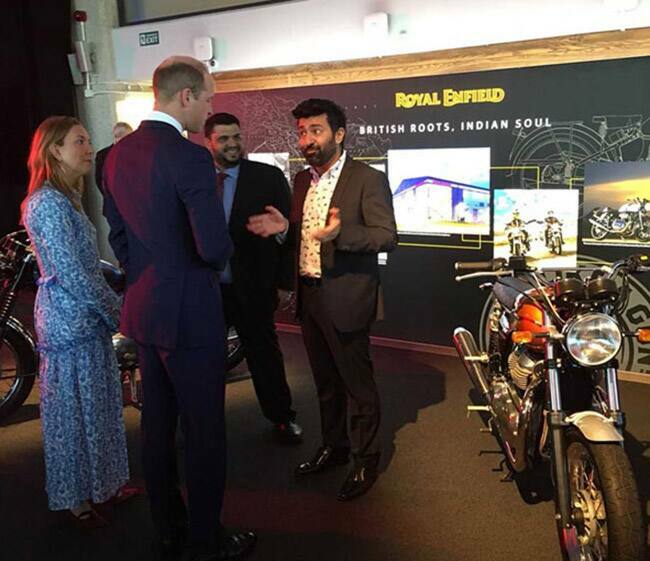 The Royal Enfield Interceptor 650 was displayed at a reception welcoming Commonwealth leaders to Britain. Here’s when it caught the attention of Price Williams and this bike caught trends. 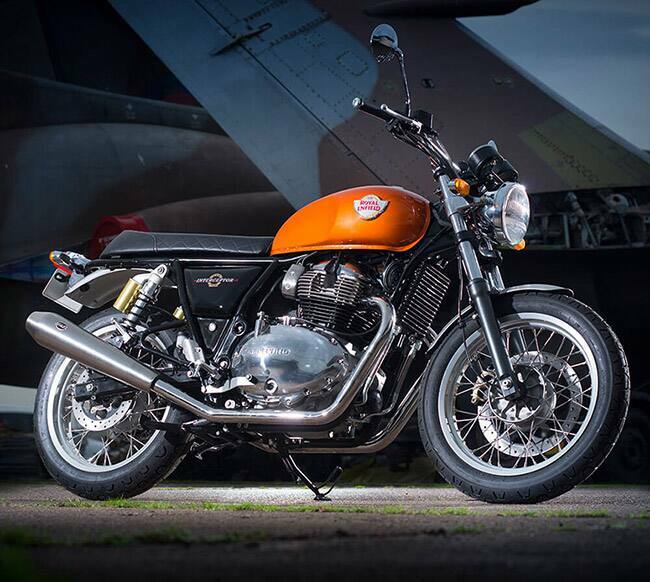 The Royal Enfield Interceptor 650 is will be launched by Royal Enfield, both in the UK and in India. The launch dates are yet to be revealed.